Looking at my father in-law’s 2012 (I think) R1200GSA Triple Black with ESA. He’s keen on the 1250 so I might score a deal. It has 16500km on the clock, maybe 100km of which was on gravel highway, the rest on tar. It’s spent a good portion of its life standing uncovered in the driveway exposed to sun, rain, frost etc unfortunately, so some of the plastics are a little faded. I just put 300km on it around Franschoek and it seems to be 100%. It has the Touratech top box, Touratech extended screen and an old Garmin of some sort. It just needs new tires. Anything I should be looking out for? Personally I don't think there is much to look out for. Since it's been standing outside I will check for rust on spokes neck bearings and so on. Then also do check all the electronics. Since if its rusted it could now rattle loose/break off at the connection ends if heavy rust. Not likely but possible. Make sure the ABS works and can be deactivated and reactivated. I’ll be riding it from Franschoek to Joburg (via Knysna) at the end of Feb. I’m not going to have much of a chance to fix anything before I hit the road so here’s hoping it behaves. I’ll add your list to my checks though. 3 Get ready to replace the battery: As for the tyres it does not want to sit and do nothing. And Then: Fill it up and press the joy button. A Bike is like a wife, neglect her and you will be neglected, pay attention to her and you might just not be neglected. I have exactly the same model currently - 2010 - the easiest way to make sure its the twin-cam is that the oil filler is on the right, pre20-10 had them om the left. Jog the ESA up and down while its started and stationary (it wont change in motion) to make sure its operational - they get sticky if not used - replace tyres, the battery dies at 1-minutes notice, but they are easy to get. 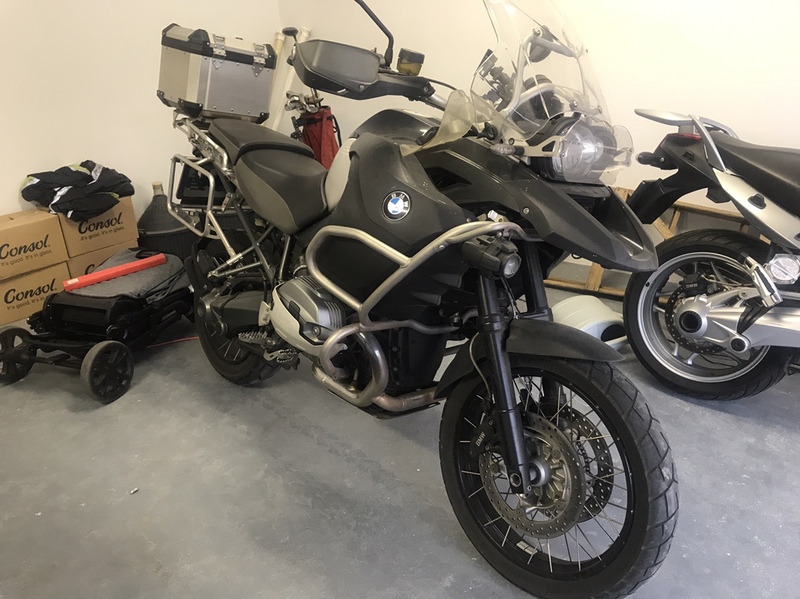 Climb on & ride - I love mine, but it needs to go - I am looking around R110k for mine, but it has LOADS of extras - probably R100k as it stands? Forgot - take the VIN number and call BMW and see if all the recalls were done - there was one regarding the rear hub bolts acouple of years back that is important, there were a couple of models that had hubs crack when the bolts were over-torqued, never heard of any in SA, but worth the check.